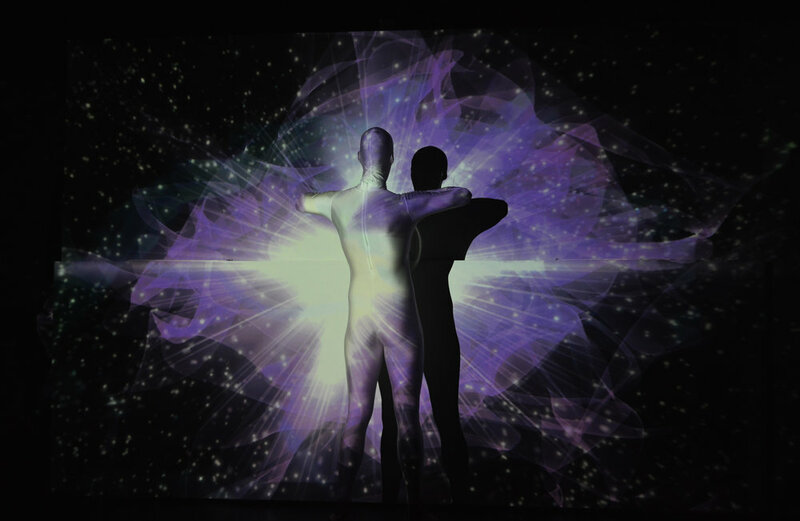 Miami New Times, "Intelligent Systems is an Opera For the Video Game Generation"
In June 2015, SoBe Arts presented the world premiere of Intelligent Systems, a provocative 90 minute multimedia opera exploring epic conflicts at the intersections of the natural universe, technology and humanity. Through a wonderful integration of sonic and visual images, audience members were taken through time and space on a quest to understand — and actually feel as though they are experiencing — creation, natural catastrophe, social evolution, and the modern threat of self-annihilation. Composer Carson Kievman was originally inspired to begin work on this project more than 30 years ago when Stephen Hawking published his groundbreaking research on the Big Bang theory and the transformative nature of the universe. In 1980, Dr. Kievman received a grant from the National Endowment for the Arts and, in 1982, a commission from Germany’s Donaueschingen Festival to begin developing the work. The musical score and storyboard/libretto were created periodically through the ensuing years and finally revised, updated and completed early this year. Intelligent Systems maps out the history of a parallel universe and one of its planets as a series of natural catastrophes occurring over billions of years, leading to the development of civilization and ultimately a man-made catastrophe (including climate change and sea-level rise; raging viral pandemic; out-of-control digital miscommunications; and global nuclear fallout) followed by a post-apocalyptic speculation about what a future species might look and act like. For this new production, SoBe Arts engaged the production team from last season's triumph: Fairy Tales, Songs of the Dandelion Woman, a chamber opera by Carson Kievman that received rave reviews * and considerable local and national attention. Intelligent Systems ran for seven performances from June 4 (open dress rehearsal) and June 5 (world premiere) through June 14 in the Little Stage Theater at SoBe Institute of the Arts, a beautiful, historic setting and intimate venue on Miami Beach.